Asthma, a chronic disease that affects the airways, can make life uncomfortable and difficult with symptoms like wheezing, coughing, chest tightness, and shortness of breath. There are different kinds of asthma that trigger these side effects, including allergies and physical activities. However, there are some triggers that are specific to a person’s work environment, and this is known as occupational asthma. 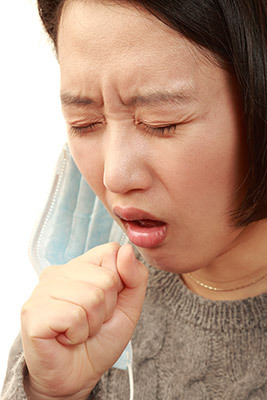 This specific type of asthma can be triggered by gases, dust, fume, or other substances a person only comes in contact with at their workplace. If you only started having asthmatic episodes when you started a job and don’t have problems with asthma outside of work, there is a good chance you have occupational asthma. It can be difficult to prove asthma is directly related to an occupation, but it is possible. To find out for sure, you must carefully document your workplace and speak with a physician. Additionally, speaking with a manager or supervisor at work can help you identify and maybe even get rid of potential hazards. Speaking with an allergist or immunologist at AAIR can be one of the most helpful things you can do to determine if you’re experiencing occupational asthma and what treatment options are available to you.